After being named overall #TechDiversity Champion at the 2016 #TechDiversity Awards, Avanade Australia has continued its impressive focus on keeping diversity front of mind. 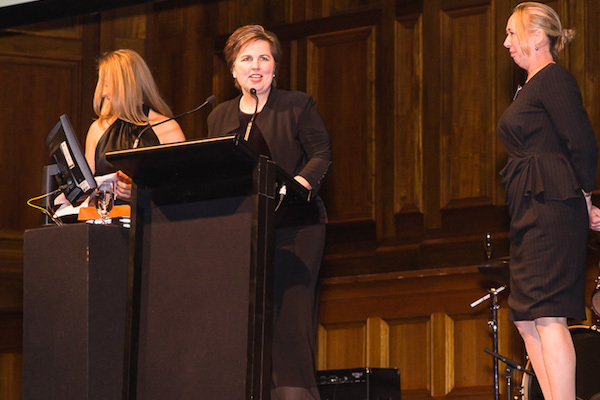 Representing Avanade, Debra Underwood, Australia Marketing Lead and Co-Chair of the Avanade Diversity and Inclusion team, speaks about Avanade’s experience with the 2016 #TechDiversity Awards program and how it has helped shape the company’s diversity initiatives. Avanade is the leading provider of innovative digital and cloud-enabling services, business solutions and design-led experiences, delivered through the power of people and the Microsoft ecosystem. Majority owned by Accenture, Avanade was founded in 2000 by Accenture LLP and Microsoft Corporation and has 30,000 professionals in 24 countries. Avanade Australia wanted to ensure a sustainable inclusive culture, with a visible expression of its commitment to the company’s diverse workforce. Avanade’s Diversity and Inclusion initiatives have been supported by a group of team members passionate about the culture in which they work. The core team has representatives from each office, with executives championing the efforts. Examples of initiatives undertaken in 2016 included an annual dinner to address STEM, diversity and business outcomes, paid super contributions for parents on leave, same level of paid leave regardless of gender, a nationwide campaign focused on LGBTI+ (lesbian, gay, bisexual, trans, and/or intersex) awareness and the ‘UN Women: Breaking Barriers’ webinar encouraging women to pursue STEM careers. In April 2016 the Avanade culture team led a project to celebrate LGBTI individuals, with a goal to provide a safe and secure working environment at Avanade. Their expectations were to (a) raise awareness and provide insights into the challenges LGBTI people encounter, (b) provide information to others on how to support LGBTI individuals, and (c) increase the number of Avanade colleagues identifying as Avanade LGBTI Allies. A national, fully integrated campaign was implemented to encourage discussions and share insights and stories across Avanade’s five Australian locations. Based on its success, the program is now being shared and replicated across the globe at Avanade. Debra says the process of entering the #TechDiversity Awards was extremely easy. Through the nomination process, the business was able to reflect on what had been achieved. Further benefits include the sense of pride felt by the staff and leadership team involved in the diversity initiatives at Avanade – it really made them feel valued for their work. The business also enjoyed an increased profile and an added level of validity when working with key clients, including government. In 2017, Avanade Australia’s ongoing commitment to diversity has developed into a formal STEM program. This program combines emerging technology and an immersive school-based experience to run design thinking and coding practices that build excitement in STEM subjects and careers for primary-secondary students. “This program breaks down technology barriers for primary and high school students and their teachers,” Debra says. As part of the STEM program, Graeme Hackland, CIO of the Williams Martini F1 Racing Team, visited Melbourne Girls Grammar in March 2016, and spoke to Year 11 and 12 students about careers in technology. Many students were surprised to learn that STEM can be incorporated into many different careers that could take them across the globe. Debra says, “Being a #TechDiversity Award winner means everything to me! We’re very proud. It provides Avanade with a proof point that we’re on the right track and validation that we’re making a difference. “My message to 2017 nominees is to show your enthusiasm and passion for the subject and make sure you quantify what you’ve achieved.